The former Royal honeymoon yacht of Grace Kelly, the Grace Luxury Galapagos Cruise is an authentic classic yacht for those seeking to explore the Galapagos in style. 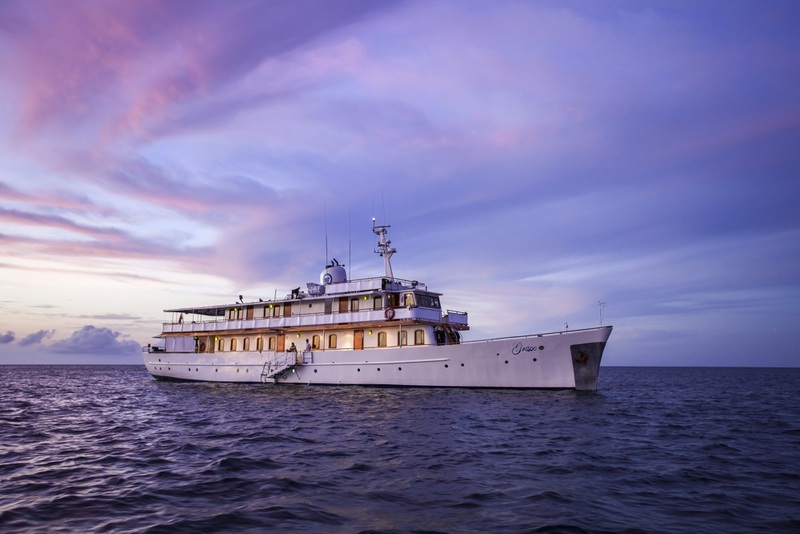 The impressive history of Grace sets this vessel apart from the other premium cruise options in the Galapagos, and includes distinguished service in the British Navy during WWII and a pedigree that lays claim to ownership by tycoons, industrialists and royalty. A Galapagos icon, Grace is an intimate size and highly distinctive: there’s no other boat like it in the Galapagos. The M/G Grace was originally constructed in Southampton, England, in 1928 by Camper and Nicholsons, the oldest leisure marine company in the world. An Argentinian, Santiago Soulas, commissioned her just before the economic crash of the 1920s and called her Monica. after his daughter. She was then named Rion by her next owner, a Greek gentleman. She was later acquired in 1938 by Sir George Tilley, before the British conscripted her for the war efforts. For this, she was strengthened to carry a 12-pound quick-firing gun; the forward suite became the military operations room, while other suites because the radio room and ammunition storage. Aftre the war, characters like Sir Winston Churchill cruised on her. After being decommisioned, her original builders restored her and returned her to Sir George Tilley. The 1950s saw Grace’s glory days of glamour when she was name Orion. After Sir George Tilley’s death, she passed into the hands of Aristotle Onassis’s firm, who gifted the vessel to Prince Rainier and Princess Grace of Monaco for their wedding. The Royal couple honeymooned on board the boat in the Mediterannean and kept her until 1958. 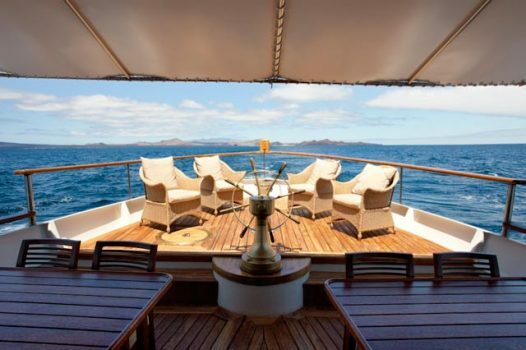 From Monaco, she enetered the next chapter of her seafaring days in the Caribbean, brought over there in 1960. Here she spent time in Monetego Bay – at one point languishing for non-payment of taxes – until 1985 when she was discovered at auction by John Issa. A refit in Florida saw her fit for sail once more, renamed Zein. She was kepy in Jamaica until 2006. 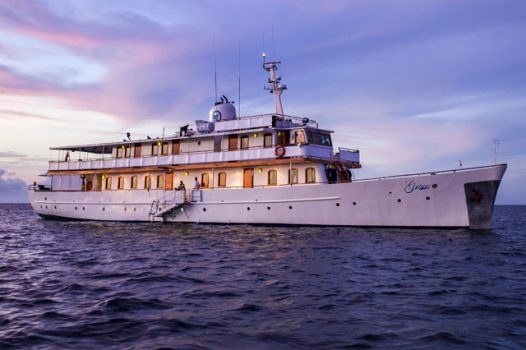 Quasar Expeditions purchased the vessel in 2007 and gaver her the new name for her Galapagos cruising: Grace. Grace fits up to 18 guests. 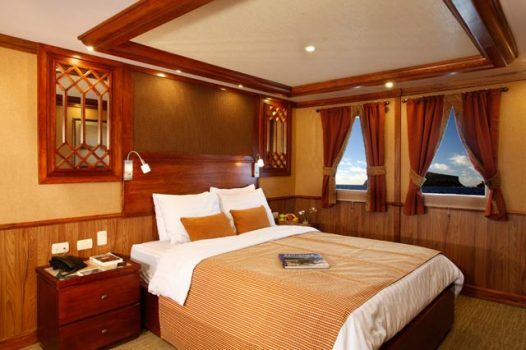 The yacht has 2 Master Suites, 2 Twin Suites and 5 Premium Staterooms with ensuite bathrooms. Comfortable and tasteful cabins with rich mahogany panels are equipped with plush bedding, individual climate controls, safes, telephones and storage space. The vessel retains some of the distinction and elegance of the boat’s historic past. While you won’t find Wi-Fi and in-room Tvs, you will find the elegance of another era. 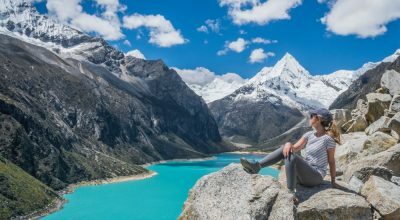 There are three levels on which to relax outdoors or inside. 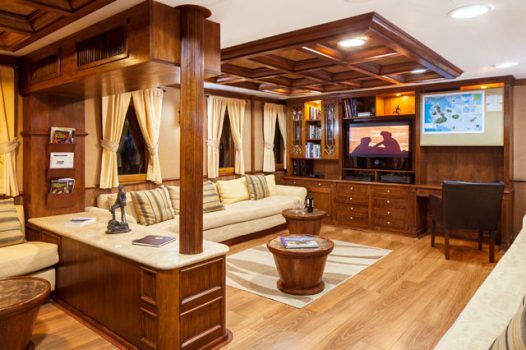 The main deck has a TV and lounge area, library with a wide array of books, a bar and stereo system. 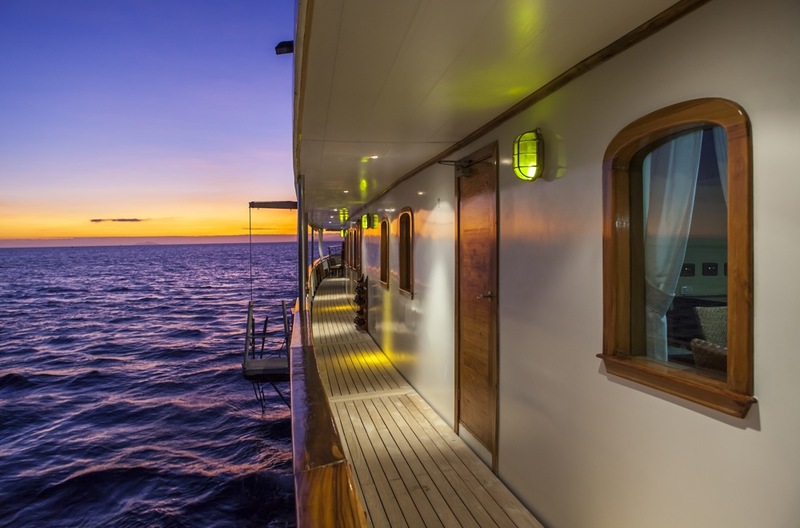 The sun deck has a jacuzzi to slip into at the end of the day or after snorkeling and ample seating to soak up the sunshine. At sunset, happy hour is a highlight atop the sky lounge bar. 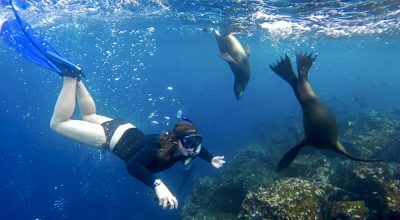 Guests can use the sea kayaks, snorkeling gear and wet-suits during excursions. There is a small shop. 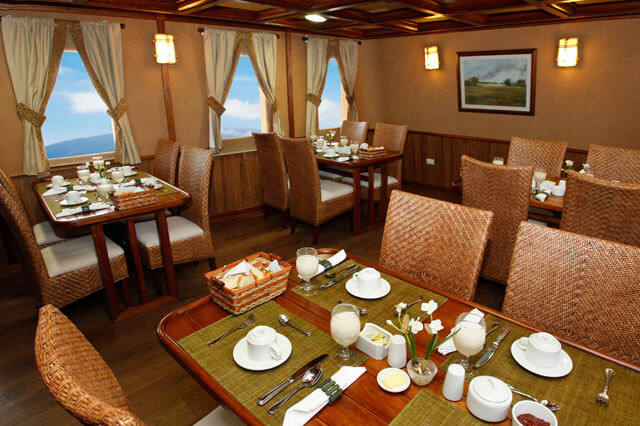 Grace provides fine onboard dining in both her dining room and al fresco on the rear deck. 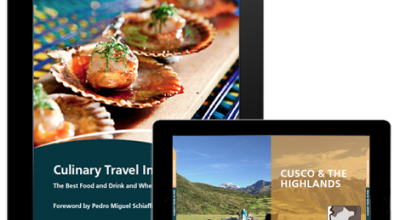 Childrens’ menus are available. 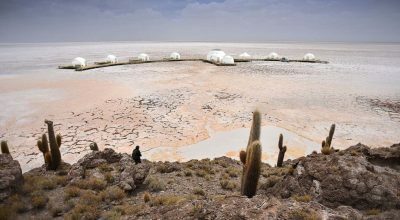 There are special activities for kids like star-gazing and movie nights for families.